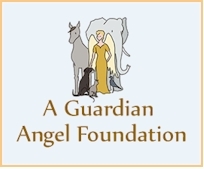 The APL is honored and grateful to have been awarded lifesaving Spay, Neuter & Vaccination grants from A Guardian Angel Foundation in 2016 and 2017. We were able to save the lives of countless kittens and improve the lives of cats in Okaloosa County, Florida thanks to these generous grants. The APL is proud to be a part of the BISSELL Partners for Pets Program. The BISSELL Pet Foundation recognized our lifesaving work in April 2018 by investing $3,571.75 towards the Okaloosa Community Cat Project. We are very grateful for this funding that will allow the APL to meet our mission goals in 2018 and beyond. The lives of countless kittens will be saved in our area because of this generous spay/neuter grant. 2018 ~ The APL is honored and grateful to have received a $5,000 spay/neuter grant from the Petco Foundation in March 2018. This generous lifesaving funding, in addition to public donations, resulted in 123 Okaloosa County cats being vetted. 2017 ~ The APL received a $3,750 spay/neuter grant from the Petco Foundation in August 2017. This generous lifesaving funding, in addition to public donations, resulted in 113 Okaloosa County cats being spayed or neutered, vaccinated and microchipped. Thank you so much to the Petco Foundation and our community for helping the APL meet our mission goals. The lives of countless kittens have been saved along with forever changing the lives of the cats. 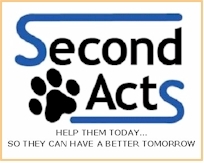 The APL is honored and grateful to have been awarded a lifesaving Spay, Neuter & Vaccination grant from the Second Acts Foundation. The funding was used to sterilize, vaccinate, tip and chip a large community cat colony located in Fort Walton Beach, Florida. We were able to save the lives of countless kittens and improve the lives of cats thanks to this generous grant.